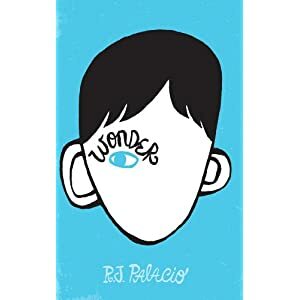 Serendipity Reviews: Look At Me! A Whole Week About Self Image. Look At Me! A Whole Week About Self Image. Next week on the blog I will be hosting a blog special entitled Look At Me! The whole week will cover reviews, guest posts and personal posts looking at how we view ourselves. It concerns me that within the world of the teenager, the way you look is so vitally important and I have taken three books that deal with similar issues to this to concentrate on. I want to smash the word 'normal'! If we all looked the same, the world would be a boring place. 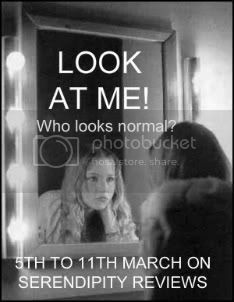 So come and join me for a week about self image. Great idea and I look forward to it! Interesting post. Along with 'normal' I'd also like to see the word 'freak' banned. I don't have an amazing figure or a flat stomach. I'm far from being considered a model but, I'm me. I eat food. I have curves. I have more fat than I should. I have scars because I have a history. Some people love me, some like me, some hate me . I have done good. I have done bad. I love... my Pj's and I go without makeup and sometimes don't get my hair done. I'm random and crazy. I don't pretend to be someone I'm not. I am who I am, you can love me or not. I won't change!! And if I love you, I do it with my all Heart!! I make no apologies for the way I am. Ladies! I dare you to put this on your status if you're proud of who you are. Yes! That is another bad word. I do like this status. I may have to borrow it for my blog. Don't worry. I had to fit it around a blog tour. This sounds brilliant, Viv. Really looking forward to following it! Great idea. I loved the DUFF!! Fab idea, and some great books you're featuring too :). Fabulous idea, Vivienne. I hope your posts will reach young adults, who need to hear a positive message. Brilliant idea Viv! I want normal banned too! Normal is boring, every should be Niue and however they want to be! Great theme. And I look forward to see what you think of all those books.